Reading comprehension about a letter describing a house. I used it with weak learners. The present downloadable teaching material is intended for high school students, elementary school students and adults at Elementary (A1) and Pre-intermediate (A2) level. 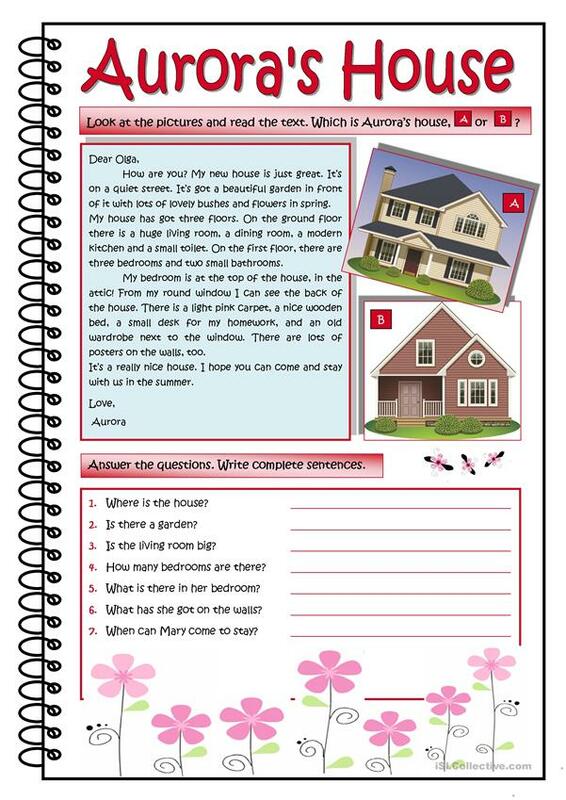 It is aimed at revising BE (auxiliary verb) in English, and is useful for working on your learners' Reading skills. It is about the theme of Home.